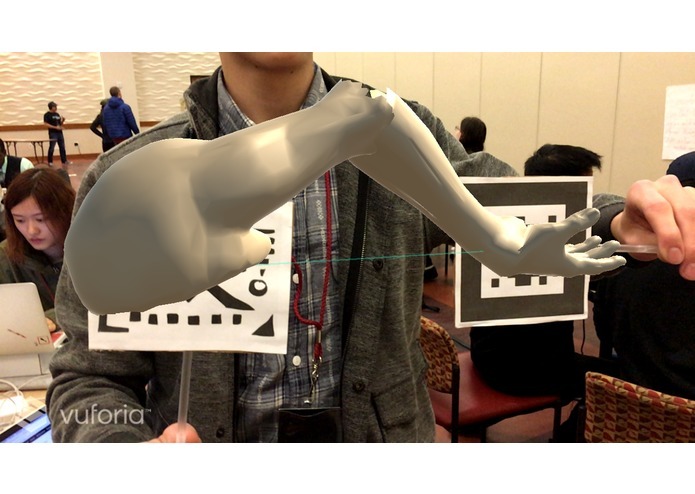 Explore the anatomy of the human arm using augmented reality! Every year, endless people suffer through needless poking and prodding to find a viable vein for blood draws or treatments. Older people and people with illnesses are especially vulnerable to the problem of finding usable veins. Repeated treatments like chemotherapy, which is given as an infusion through a vein, often causes veins to collapse. But now, we have a much better way to locate veins by simply using your phone. 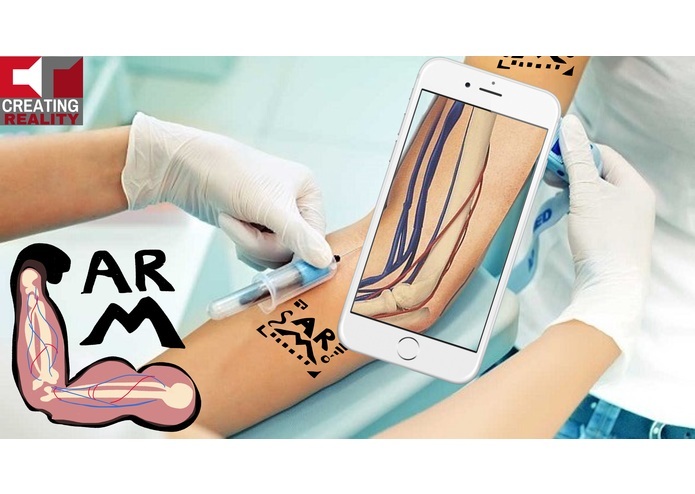 We’ve created an iOS app that scans your arm, locates viable veins, and takes the guesswork out of finding a vein. Think of the simplicity—a nurse pulls out her phone or puts on a Hololens and is able to insert the needle in just one try. Our app has the potential to become a viable tool to be used in hospitals, clinics, doctor offices, labs—anywhere a healthcare professional needs to find a vein, the answer is now just a click away. 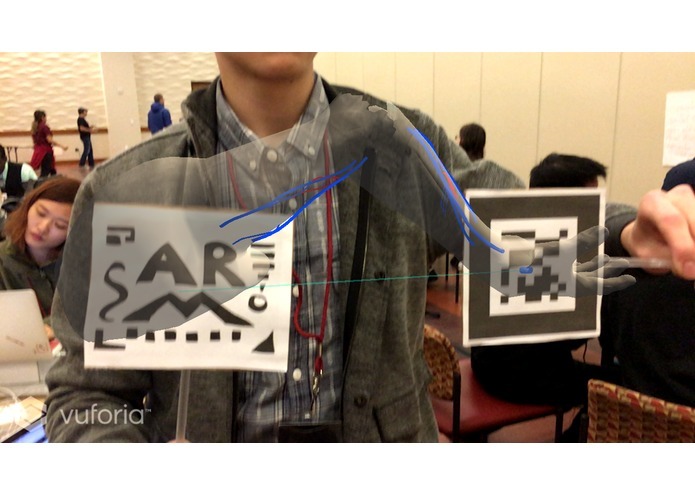 ARm is an augmented reality app created at USC’s Creating Reality Hackathon. 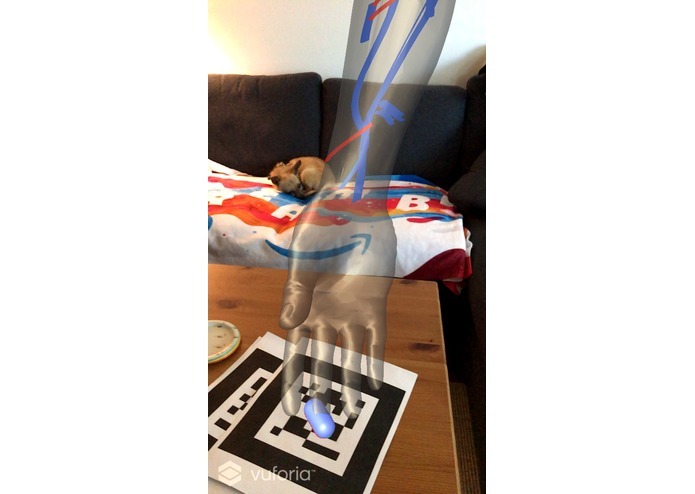 Using the iPhone and Microsoft’s Hololens, the user can explore the anatomy of their own or someone else’s arm. It’s able to locate viable veins for blood draws and treatments. This application can be utilized by any healthcare professional who needs draw blood from their patients or to administer a treatment like chemotherapy. We used Unity and Vuforia to display it in iOS and the Hololens. We used Blender to model and rig a 3D arm and map the veins. This will take some of the stress out of getting bloodwork done and having treatments, and also educate users about the anatomy of the human arm. No one likes getting their blood drawn, and having the nurse poke around several times trying to find a vein is the worst. The challenges around AR tracking; multiplatform development, communication between team members. Increasing the tracking precision. Exploring new kinds of physical identifiers for mapping virtual objects onto reality.